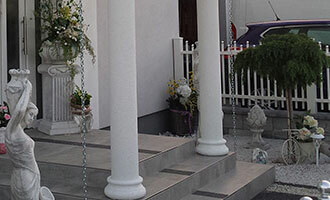 These stuccos, i.e. 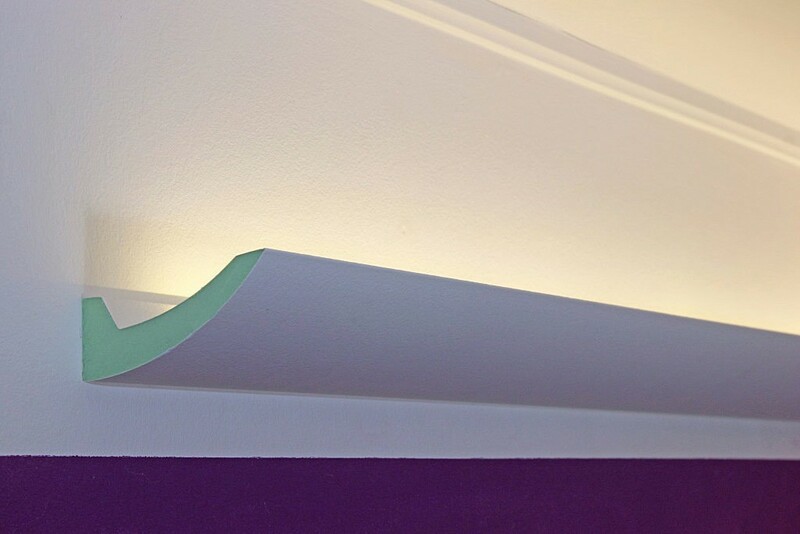 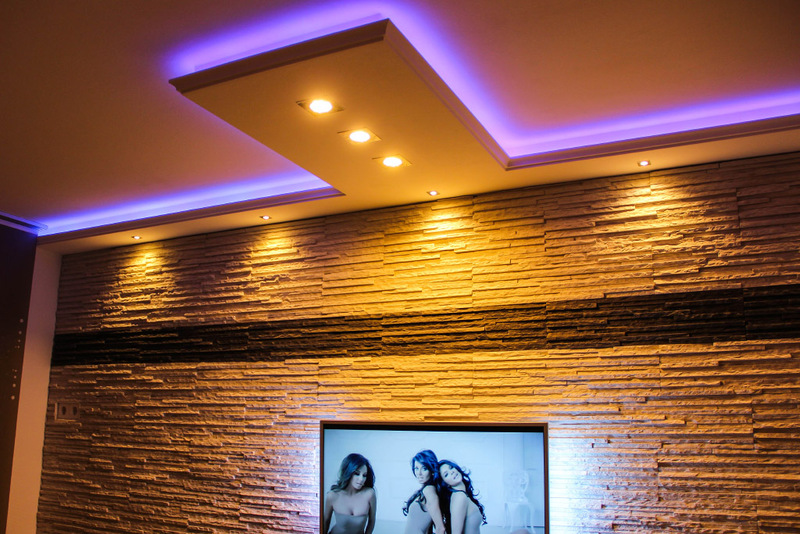 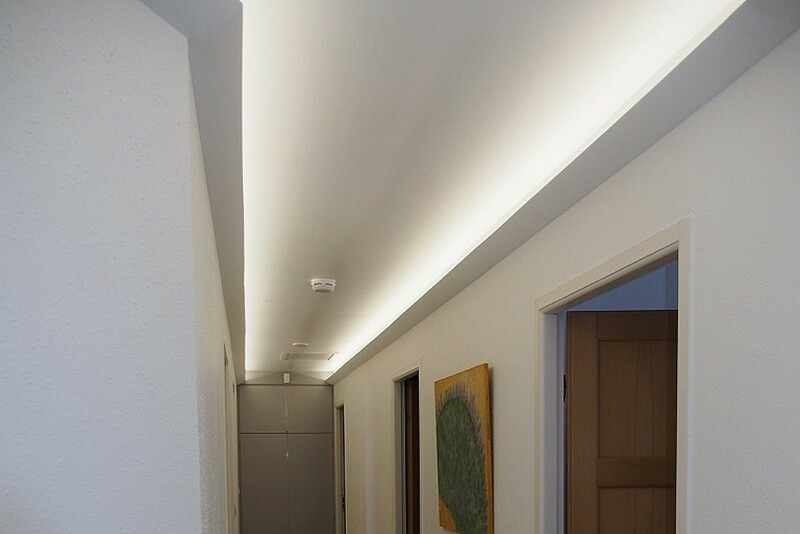 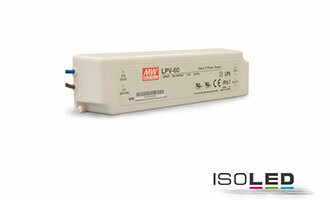 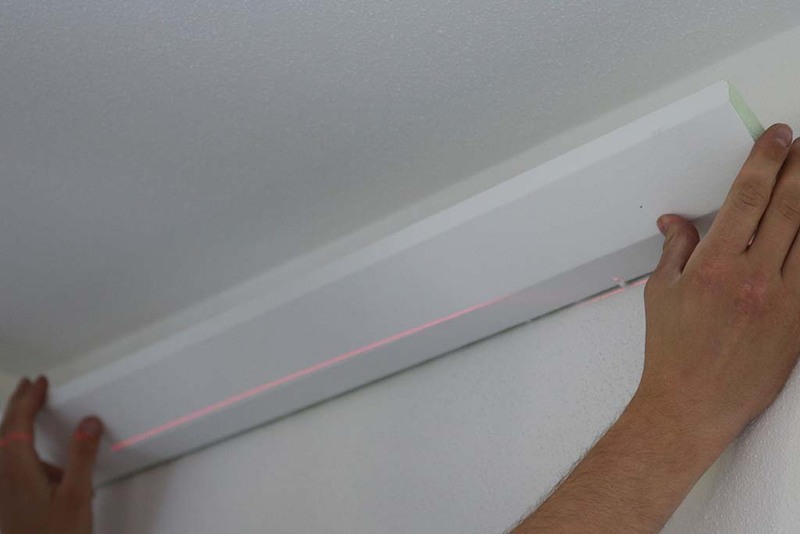 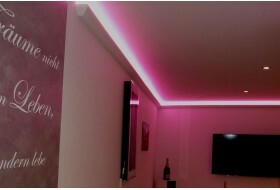 lighting coves for indirect lighting are made of very fine pored hard-foam and are perfectly suited to be combined with flexible LED strips. 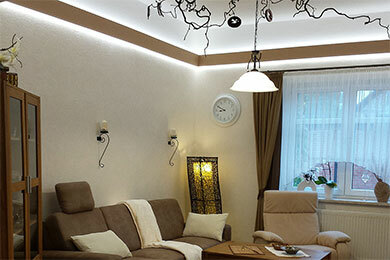 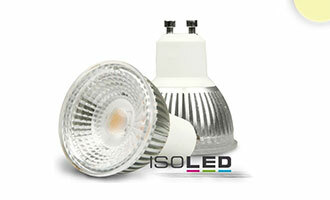 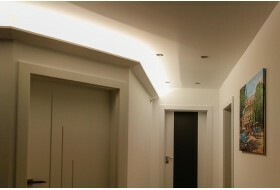 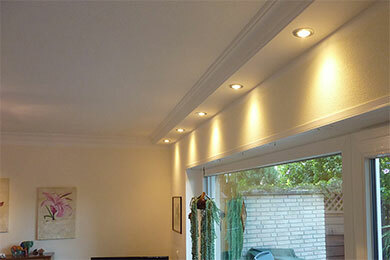 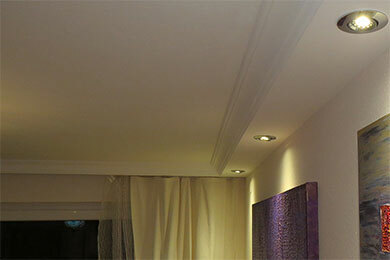 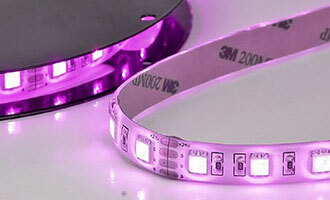 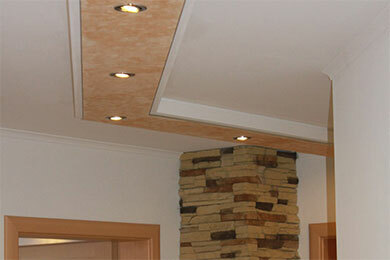 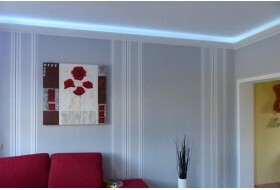 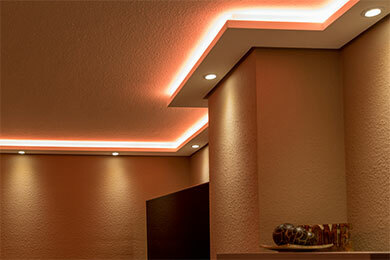 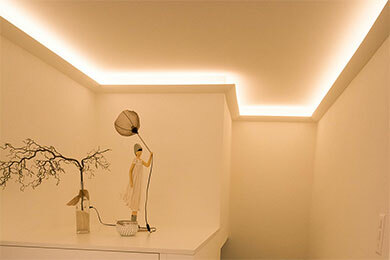 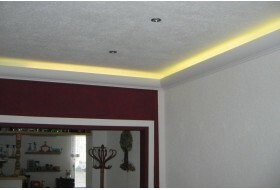 It is very easy to quickly create a pleasant indirect illumination for your living space with them. 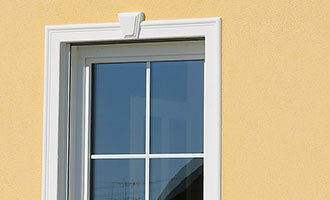 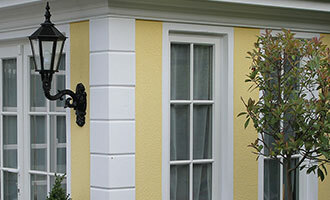 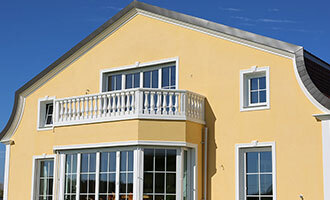 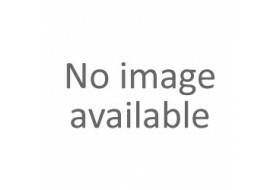 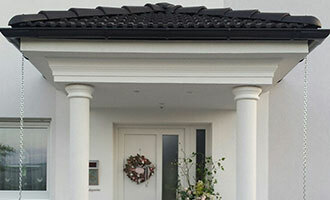 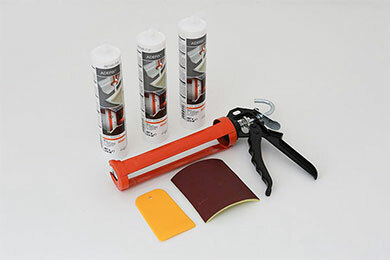 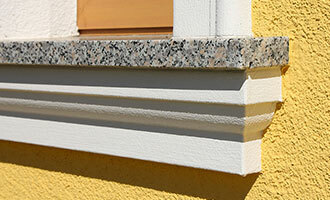 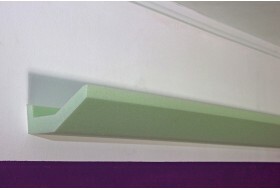 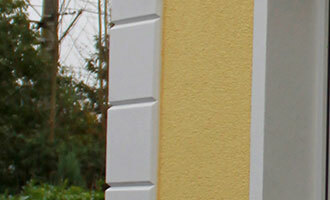 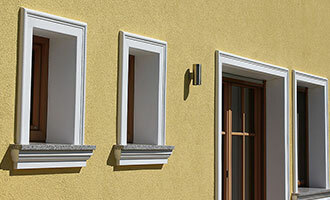 - Paint stucco profile with commercial solvent-free wall paint. 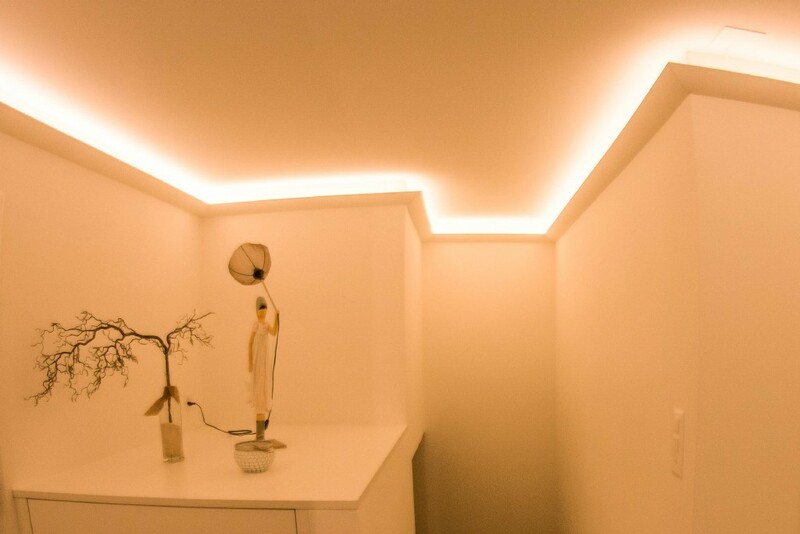 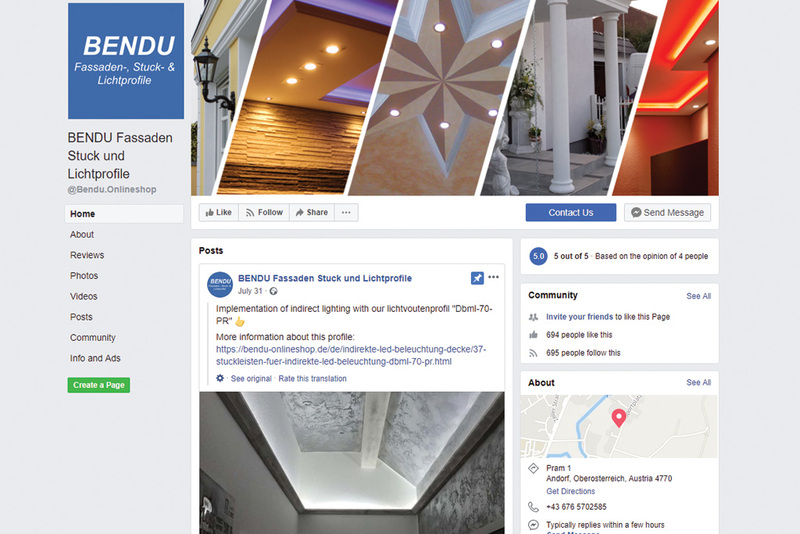 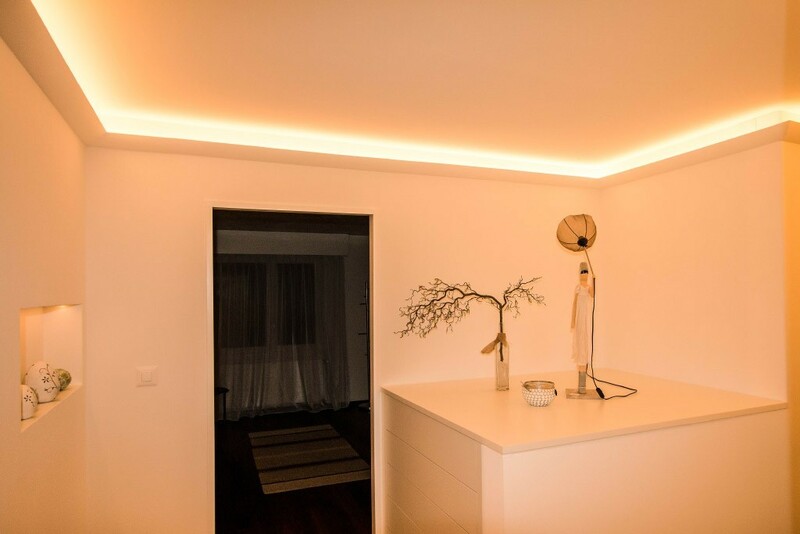 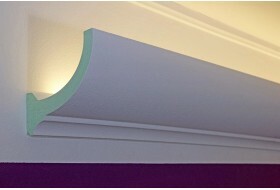 All stucco can be customized according to your requirements and specifications if these lighting coves or stuccos do not correspond to your expectations. 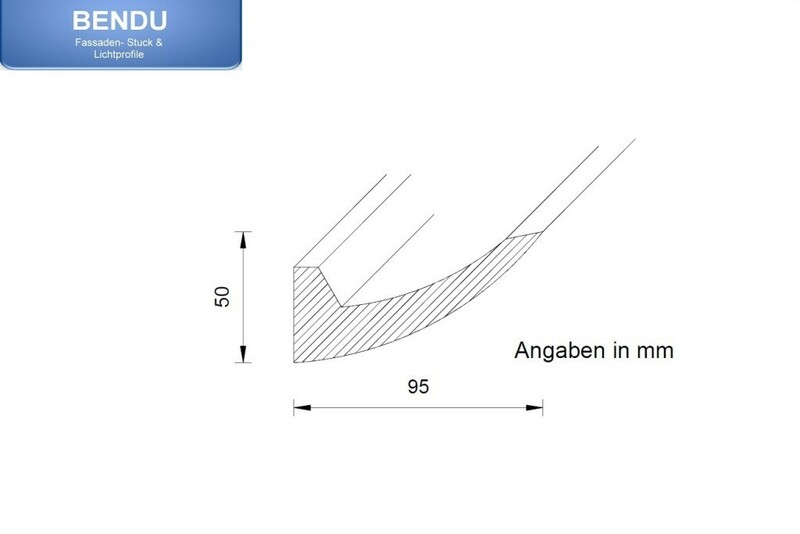 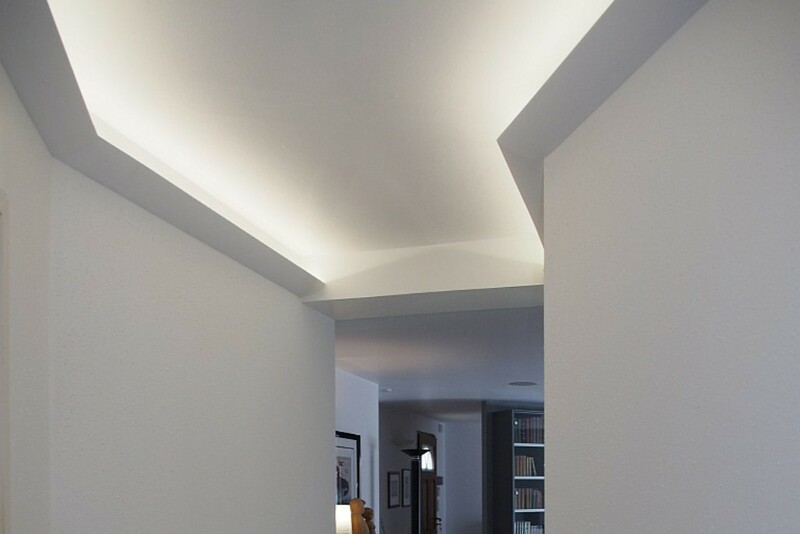 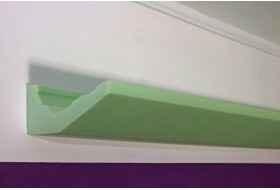 We offer to cut to size or precut all corners (miters) of the lighting profiles upon request as another service for you.